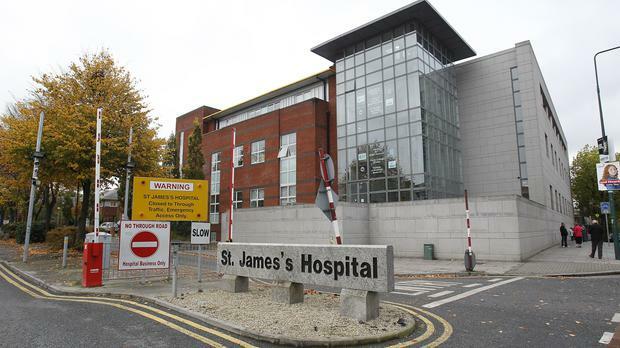 A Dublin man on trial for IRA membership was arrested at the entrance of St James’ Hospital by armed gardai, some of whom had their weapons drawn, in front of a crowd, the Special Criminal Court has heard. Donal O'Ceallaigh (33) with an address on Beach Road, Sandymount as well as Jonathan Hawthorn (45) of Ballintyre Downs in Ballinteer and James Geraghty (61) of Dolphin House in Dolphin’s Barn have pleaded not guilty to membership of an unlawful organisation styling itself the Irish Republican Army, otherwise Oglaigh na hEireann, otherwise the IRA. The non-jury court heard previously that gardai, acting on a tip-off from an FBI agent, sent fake explosives to Mr Geraghty's address in Dolphin House. A garda dressed as a DHL driver delivered the package. Opening the trial last week, prosecution counsel, John Byrne BL, told the three-judge court that an undercover member of the FBI had been monitoring activity on the ‘darknet' section of the internet in August 2016. Darknet sites such as ‘AlphaBay’ specialise in the sale of illegal material including explosives, counsel said. Through ‘AlphaBay’ the FBI agent received a message from a user called ‘Meat Cleaver’ who was looking for Semtex to be delivered to Ireland. While the prosecution does not say that ‘Meat Cleaver’ was an identity used by any of the accused men, Mr Byrne said the home of James Geraghty at Dolphin House was identified as the delivery address. The FBI agent alerted gardai who created a "mock-up package" designed to mimic what had been ordered by ‘Meat Cleaver’. On the morning in question, an undercover garda dressed as a DHL driver delivered the package to Dolphin House where he met and spoke with Jonathan Hawthorn and Donal O'Ceallaigh. Mr Hawthorn signed for the package in the name of James Geraghty. The Special Criminal Court was due to hear evidence from members of the National Surveillance Unit today. However, some of those witnesses were on duty in Dublin City Centre due to the visit of foreign dignitaries to the State. Detective Sergeant Padraig Boyce, of the Special Detective Unit, gave evidence today of the arrest and detention of Mr O’Ceallaigh. Det Sgt Boyce told Mr Byrne, prosecuting, that he was part of a team involved in an operation concentrated on the Dolphin House area of Dublin 8 on the day in question. He said he became aware that a controlled delivery had taken place at the “target location” - a dwelling in Dolphin House known to be occupied by Mr Hawthorn and Mr O’Ceallaigh. Thereafter, he said Mr Hawthorn and Mr O’Ceallaigh left Dolphin House and entered the grounds of St James’ Hospital from the South Circular Road. Det Sgt Boyce confirmed that he was on duty at the front entrance of St James’ Hospital at the time and that he was aware the controlled delivery had been made. He said he believed Mr O’Ceallaigh was a member of an unlawful organisation at the time and was engaged in IRA activity. Accompanied by other members, Det Sgt Boyce said he stopped and detained Mr O’Ceallaigh at 11.32am under Section 30 of the Offences Against the State Act. He said he introduced himself to Mr O’Ceallaigh and produced his official ID. Upon arrest, Mr O’Ceallaigh made no reply and gave his address as Sandymount. Det Sgt Boyce confirmed that firearms had been drawn by some of his colleagues and there were particular concerns for safety of the public. “There was a large crowd in the area” of the hospital at the time as it was 11.32 in the morning, he said. When asked whether he suspected Mr O’Ceallaigh was in possession of items relevant to the controlled delivery at that time, Det Sgt Boyce said “yes, absolutely, yeah”. The trial continues tomorrow before Ms Justice Isobel Kennedy presiding with Judge Gerard Griffin and Judge Gerard Haughton.